Note: the /x/ series of posts on my site are mostly unpolished mini posts. I’m trying out a few different ideas for procedural map generation. 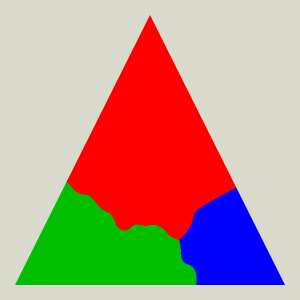 For the polygon map generator project back in 2010 I used Flash’s 2D vector graphics, which are similar in capability to HTML5’s Canvas vector graphics: lines of varying widths, polygons with fill and outline, bezier and arc curves. I wanted to explore what I might be able to do with GL shaders. 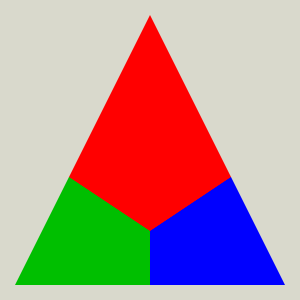 With GL I primarily get triangles. 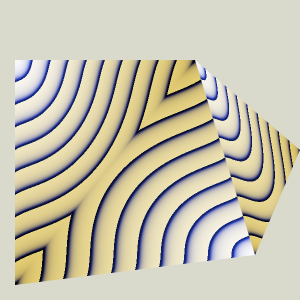 There are lines, but line width other than 1 isn’t guaranteed to be supported in WebGL. 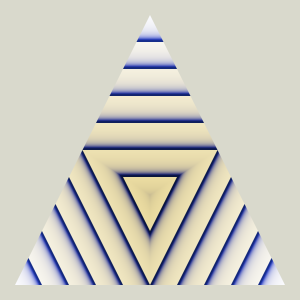 There are no curves; I’d have to break things down into line segments, which I render as quads, which are rendered as two triangles. On the other hand, GL gives me three-point gradients and lots of other potentially useful features. In order to evaluate the capabilities for abstract map rendering (not 3d terrain), I tried some things, which I describe on this page. 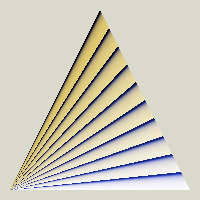 The main idea is to pass the barycentric coordinates into the fragment shader, along with the three vertex colors separately. 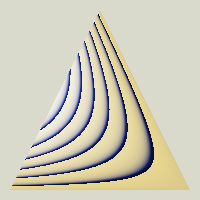 I can then do something other than the standard three-point gradient. This idea seemed obvious to me so I checked forums, stackoverflow, etc., and found that many other people have had the same idea, often for making wireframes. So that’s a good sign that I’m not barking up the wrong tree. What’s going on here? If you pass in three colors at the three vertices, OpenGL will interpolate the colors smoothly. 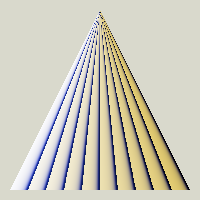 I want to use the barycentric coordinates to make other effects, which would be useful for my map generator’s renderer. 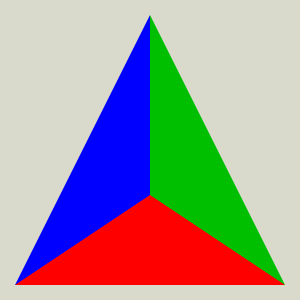 The min diagram lets me put a color on the points closest to an edge. 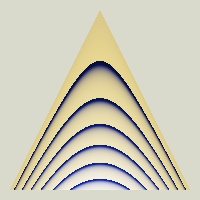 In my map generator, that’ll be mountain ridges. 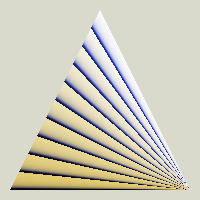 The max diagram lets me put a color on the points closest to a vertex. 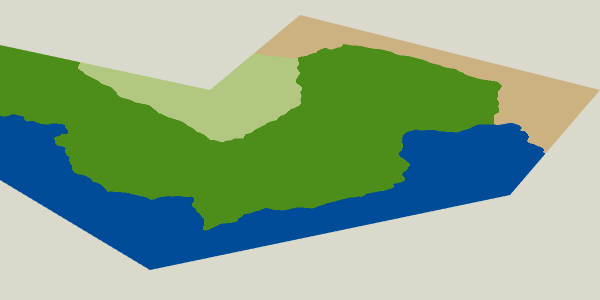 In my map generator, that’ll be biome colors. 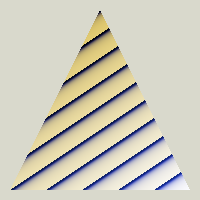 If I test for the barycentric coordinate being between two values, I can make a stripe, sometimes at the edge of the triangle. 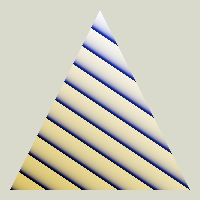 A stripe in the middle of the triangle could be useful to draw borders around biomes. 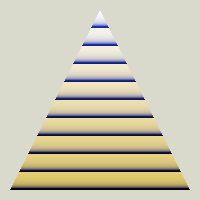 Some people use stripes of the min or max of the coordinates for wireframes. The sum of two coordinates looks the same an individual coordinate. 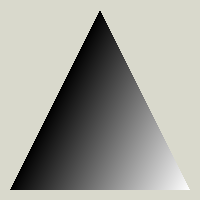 In between regular linear interpolation and max you can get other blends by raising the weight to a power. 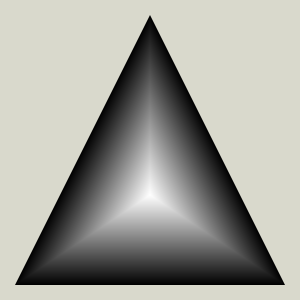 In the limit, at infinity, it’s the same as max. 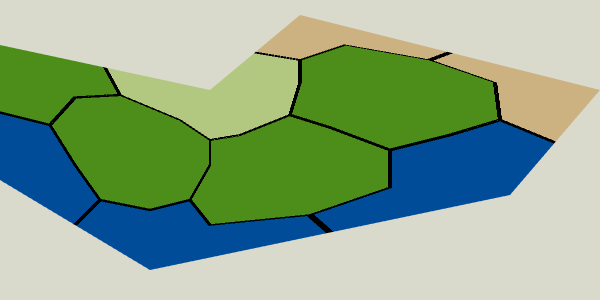 This will give some options for blended biome borders. 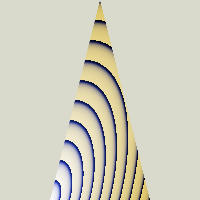 However, high exponents don’t work well across platforms, probably because raising things to high exponents loses precision somewhere. There are probably lots of other useful blending approaches. I should look at all the functions from Inigo Quilez. I think it may be simpler to build this by taking the union and intersection of stripes. I haven’t tried that yet. 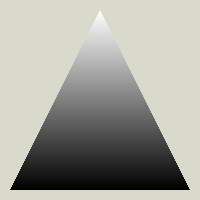 Use the biased max, but use a noise parameter for the bias for all three channels. This could produce more interesting biome boundaries. 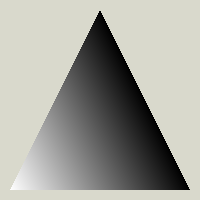 For this demo I’m using the GLSL noise functions from Morgan McGuire, BSD licensed, found in this shadertoy. 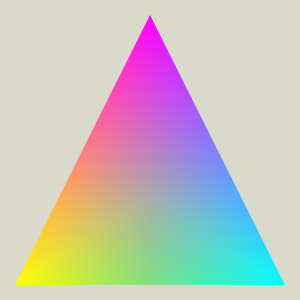 Another place you can get GLSL noise functions is the webgl-noise library, MIT licensed. Cool patterns. Are they useful? 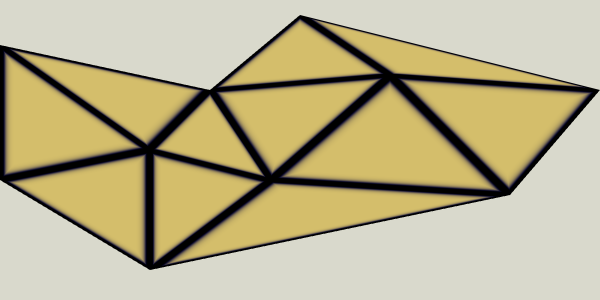 The curved paths look interesting but they need to tile across triangles of various shapes and sizes. 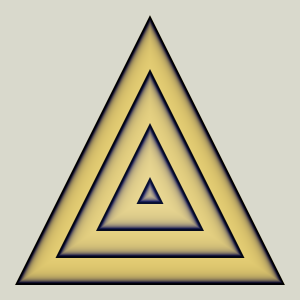 It’s perpendicular to the edges in the first shape but not the second or third. Making the line perpendicular to the edge depends on the triangle geometry so there isn’t going to be a single pattern here that works across all triangles. I’m going to move on, and return to this problem later. 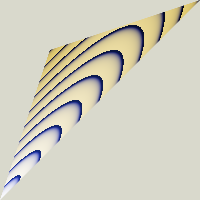 It’s possible I can find some other simpler approach and not deal with these in shaders. I think I need to construct an arc or spline for each triangle, and write a shader that takes extra parameters that control the shape. 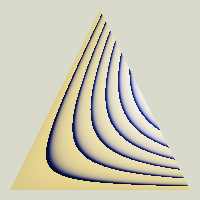 GPU Gems chapter 25 is about splines in shaders. I should read that. 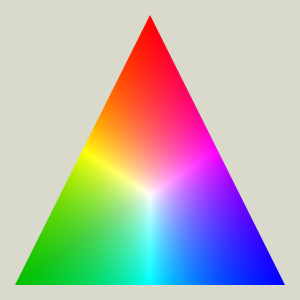 See the paper about the prismatic color space [pdf]. 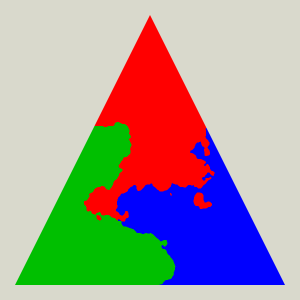 This isn’t related to my map generation project but I thought it looked cool and wanted to share. 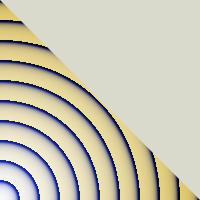 It will be some more work to make the border lines have constant width. Overall, this is kind of cool, and it works nicely for biomes. 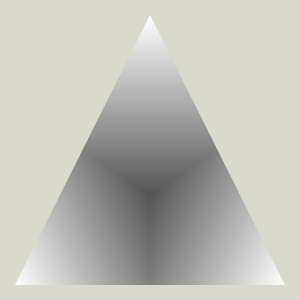 The noisy transitions in particular are much cheaper this way than inserting hundreds of vertices into each polygon. I’m not sure if I’ll end up using it though. It’s pretty early in our game’s development and we haven’t decided everything about the maps.